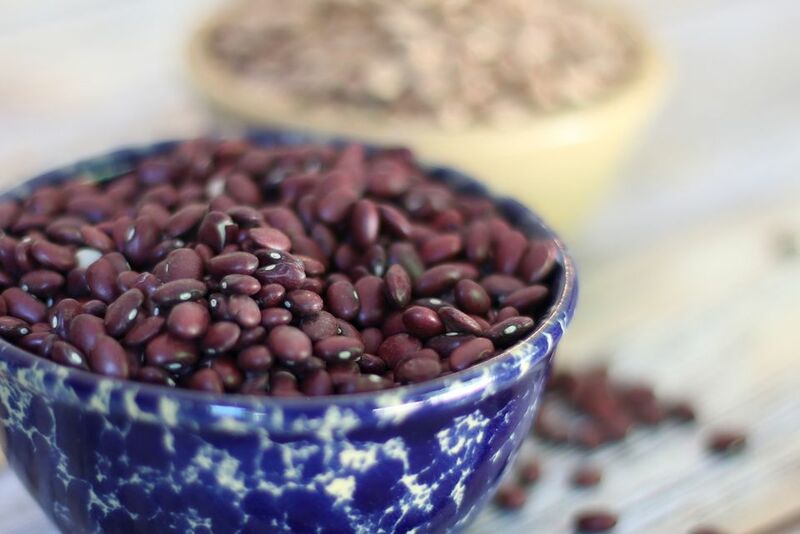 The slow cooker makes these red beans a snap to cook, and they are delicious on rice. Serve with a salad and crusty New Orleans French bread. Cornbread is another popular bread to serve with beans. To jazz the beans up a bit, add a teaspoon or two of Creole seasoning, to taste. Most Cajun or Creole seasoning contains salt, so taste the beans before you add any additional salt. Sort the beans, discarding damaged beans and any small stones you might find. Rinse them, put them in a large bowl, and cover with about 2 quarts of water. Let stand at room temperature for 6 to 8 hours, or overnight. In the morning, drain the beans and transfer them to the crockpot. Slice the bell pepper lengthwise and remove the seeds and ribs. Chop the pepper. Heat the vegetable oil in a skillet over medium heat. Add the onion, bell pepper, and celery and cook for about 5 to 7 minutes, or until the onion is translucent. Add the cooked vegetables to the beans along with the ham bone, minced garlic, and 1 1/2 quarts water. Cover and cook on high for 1 hour. Turn heat to low and cook, covered, for about 4 to 7 hours, or until the beans are tender. If desired, in a heavy skillet over medium heat, brown about 1 cup of sliced or diced spicy smoked sausage (such as andouille). Add it to the beans about an hour before they're ready. Remove ham bone and mash some of the beans against the side of the pot to thicken the remaining liquids. Remove the meat from bone; dice it and return it to the pot of beans. Meanwhile, cook the rice as directed on the package. Season the beans with salt and pepper, to taste. Spoon the beans and some liquid over servings of rice and sprinkle with chopped green onions.